Network 10 and Screen Australia have launched a joint documentary initiative to highlight LGBTQI+ diversity in rural and regional communities. Three grants of $80,000 each are available for documentary projects which will screen through 10Play. 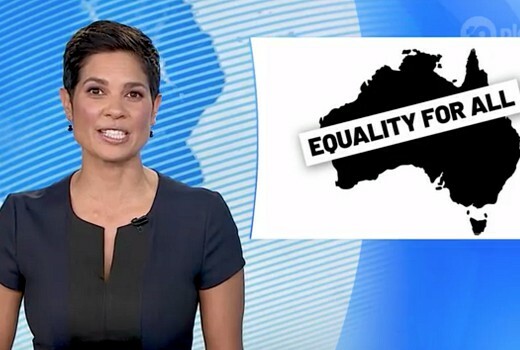 10 News First Perth newsreader Narelda Jacobs, Show Me The Movie presenter Joel Creasey and Dancing With The Stars contestant Courtney Act feature in broadcast, digital and social promotions. Screen Australia’s head of documentary Bernadine Lim said: “Lived experience is both powerful and raw. We wanted to create a specific space for LGBTQI+ filmmakers to share their real life regional stories with an even wider audience. We’re excited to hear the ideas LGBTQI+ creators will bring to us from across Australia. From today, storytellers are invited to apply for one of three grants of up to $80,000 to help develop ideas about being LGBTQI+ in country towns, into a documentary. The successful documentaries will then be broadcast on 10’s digital streaming platform 10 Play. Applications must include a director or producer who identifies as part of the LGBTQI+ community and one of whom has at least one screen credit in the respective role. All key creatives must be Australian citizens or residents. Applicants will have until Friday 26 April to submit their ideas with the grant recipients announced on Friday 21 June.